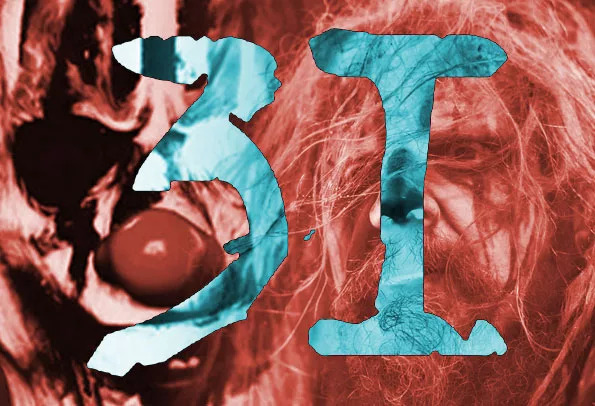 Even if you’re not a serial killer buff or horror movie fanatic, chances are you’ve heard of H.H. 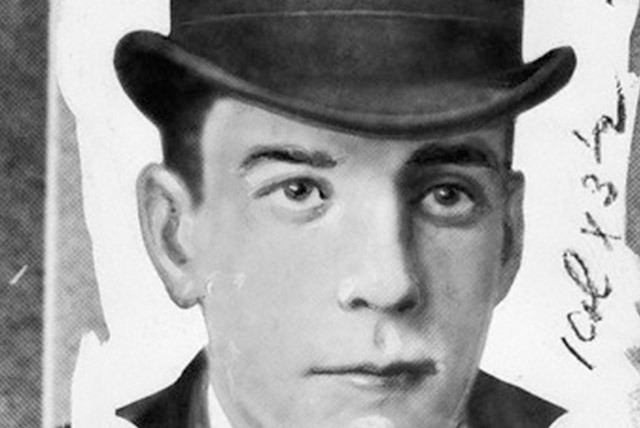 Holmes, the man dubbed America’s first serial killer. No relation to John. But did you know of his hotel turned “Murder Castle” or that H.H. Holmes isn’t even his real name? 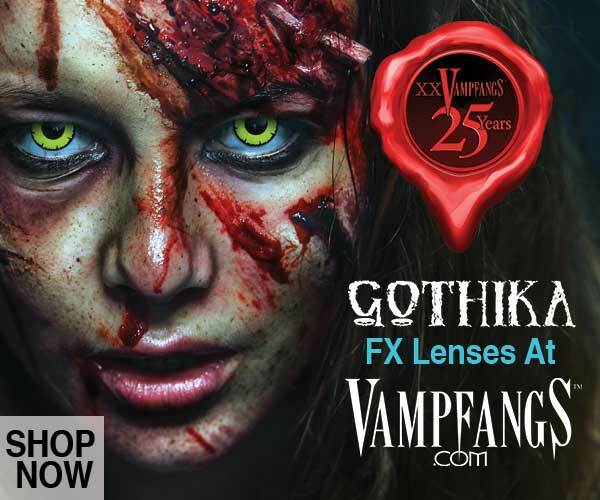 As Martin Scorsese and Leonardo DiCaprio begin production on an H.H. Holmes film, we delve into several weird facts about the killer that inspired it. Based on the novel, The Devil in the White City, Martin Scorsese’s current work in progress appears to be a thriller drama following the life of con-man, doctor and serial killer H.H. Holmes. As of December, Scorsese told Sun Media that the script was in the works and it appears Leonardo DiCaprio is the likely man for the part of Holmes. DiCaprio actually owns the film rights to the book of the same name, which he acquired in 2010, and as this will be the sixth film that he has worked on with Scorsese, it’s likely that he had intentions to play Holmes all along. From Howard Hughes to H.H. 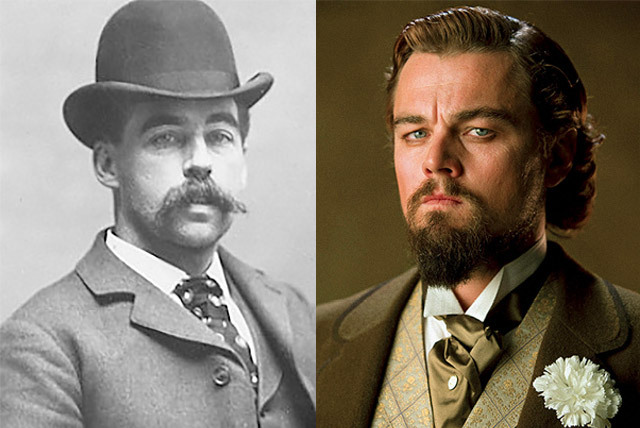 Holmes, Leonardo seems perfect for the role. This isn’t the first H.H. Holmes rendition. Evan Peters played the role of James Patrick March in American Horror Story: Hotel. March’s sadistic character was very much inspired H.H. Holmes and they even had their own AHS version of the murderous hotel (Hotel Cortez) combined with some recent true life hotel horrors (Cecil Hotel) mixed in. But who was Holmes exactly? The man called H.H. Holmes was actually born Herman Webster Mudgett on May 16, 1861 in Gilmanton, New Hampshire. 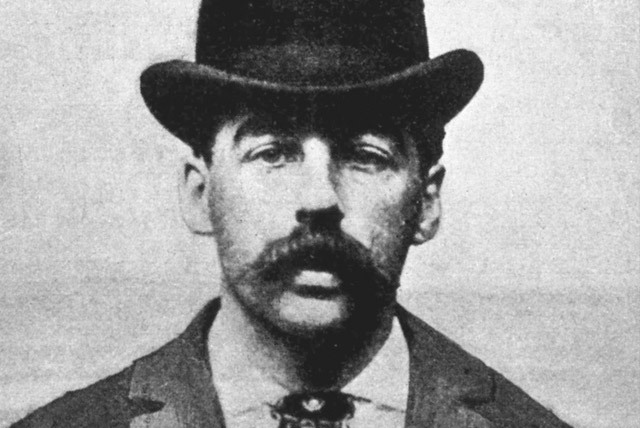 He had several aliases during his life, including Dr. Henry Howard Holmes, Henry Gordon and Alexander Bond. Although it was H.H. Holmes of which he appeared most fond, taking his surname from none other than detective extraordinaire, Sherlock Holmes. Little did he know that his own story would eventually get a slot in the detective series years after his passing. On January 8, 2017 the hit television series Sherlock featured fictional serial killer Culverton Smith who was inspired by Holmes’s grim works. 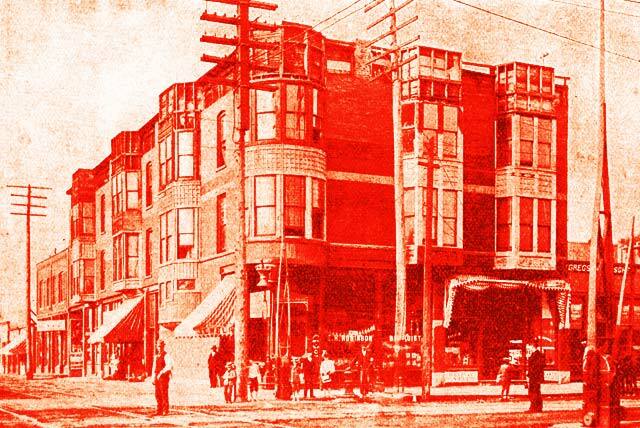 Just in time for the 1893 World Fair, Holmes had a simple drug store converted into a series of apartments that he called the World’s Fair Hotel. The massive structure was three stories tall and took up the space of an entire city block. But this was no ordinary hotel. Holmes’s hotel, (dubbed a “castle” for it’s size and later “Murder Castle” because that’s the most fitting name for it) featured 51 doorways that opened to blank brick walls, stairways that led to dead ends, 2 furnaces used for cremating bodies, 100 windowless rooms, lubricated shoots that dumped bodies into incinerators and pits of acid in the basement specifically for the disposal of human remains. Seriously, this massive structure was built solely because Holmes wanted a murder playground. In many of the windowless, airtight rooms, Holmes had gas lines installed to suffocate guests as they slept and tunnels that were there only to dispose of bodies sight unseen. He even had a large bank vault installed just so he could lock away unsuspecting women and allow them to starve or die of oxygen deprivation. 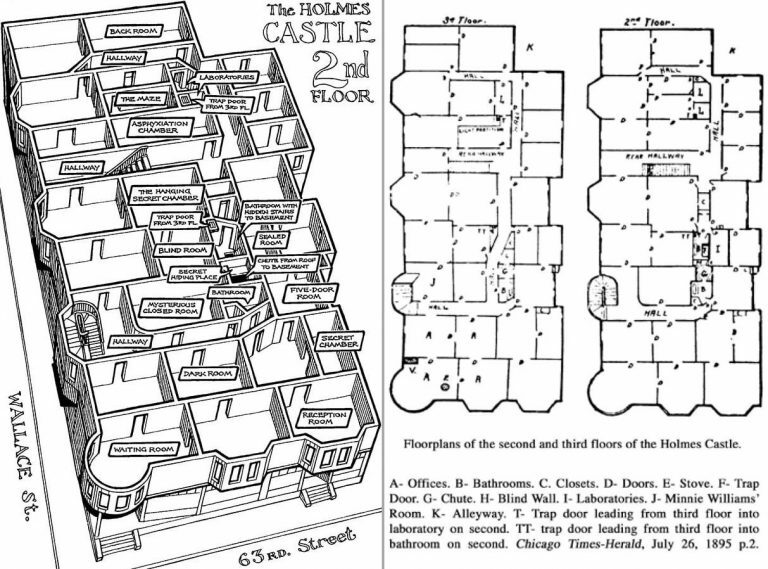 If that weren’t enough, Holmes also had other very specific rooms built inside the hotel, including one called “The Hanging Room”, where unsuspecting hotel guests were chloroformed and strung up by their necks. And all of this occurred directly above the drug store that Holmes kept open and running on the first floor. It’s no wonder that the Chicago “Murder Castle” made it onto TIME’s Top Ten List of Evil Lairs. And just how many people did Holmes kill inside his macabre mansion? Where is H.H. Holmes Murder Castle? The H.H. Holmes Murder Castle can be found at 611 West 63rd Street in Chicago, Illinois. You can check out the location, but the Murder Castle has been replaced by the Englewood Post Office. There are many stories of ghostly activity on the Murder Castle’s grounds and postal workers have some spooky stories inside the buildings. You can read more about the Murder Castle’s location, its devious architecture, and its stories here. How many people did Holmes really kill? H.H. Holmes Murder Castle Interior Diagram. During Holmes’s reign of terror, many newspapers fell victim to so called “yellow journalism.” Yellow journalism refers to a ploy used by journalist in the 1800’s to sell more newspapers with sensational, eye catching headlines but very few facts. Basically, 19th century click bait. It just so happens that this corresponded perfectly with Holmes murder sprees. Estimates range from 9 to 27 and even up to 200 suspected victims, although even during Holmes’s trial, questions emerged surrounding the murky details. It is known that Holmes began his spree with simple insurance fraud. Working in a university medical lab gave Holmes access to medical cadavers, with which he began disfiguring and reporting to insurance companies. Claiming to be the beneficiary on the policy, Holmes would regularly claim life insurance funds after reporting tragic accidents that supposedly befell the corpses. This is likely what lead to many of his suspected victims (victims Holmes himself claimed credit for) re-appearing elsewhere alive and well and contributed to the confusion surrounding the actual numbers. After having to relocate to keep suspicion down, Holmes switched up his tactics. No longer have access to medical cadavers, he began working fraudulent insurance schemes with living people. Most of these victims were women who worked for him at his drug store. Holmes insisted that his employees take out life insurance policies as a condition of working for him, and all of these policies had to list Holmes as the beneficiary. After the ink was dry, Holmes could take his time picking off unsuspecting women and claiming the funds. It was with these funds that Holmes was able to afford his lavish torture hotel. While Holmes admittedly claimed a total of 27 lives, only nine victims were found in the hotel and Holmes was only officially convicted of one murder, that of his business partner and associate, Benjamin Pitezel. How was Holmes finally arrested? Despite his murderous rampage, it was the theft of a single horse in Texas that was ultimately Holmes’s downfall. Always looking for a new way to make money, Holmes had partnered with business associate Benjamin Pitezel to do yet another insurance scam. He convinced Pitezel to fake his own death for the $10,000 insurance payout (over $200,000 in today’s money) telling him that he would arrange for a corpse who looked like him and the two would split the money. Whether he was unable to find a lookalike corpse or whether he never had those intentions in the first place, Holmes instead simply killed Pitezel himself and claimed the funds. He might have gotten away with it, had it not been for one scorned and very much alive partner in crime that he had bailed on. Marion Hedgepeth, a train robber and outlaw, had once been approached by Holmes to recommend a lawyer that would help out with his insurance schemes should they go awry. For his recommendation, Holmes promised him a $500 payout from his latest scheme. This payout never happened and prompted Hedgepeth to turn him over to the authorities. While authorities originally had their doubts considering the source of information, they were able to find a warrant for Holmes’s arrest. A warrant for the theft of a horse in Texas. Police used this horse theft to hold Holmes while they did some detective work into the more nefarious claims surrounding Pitezel’s death. 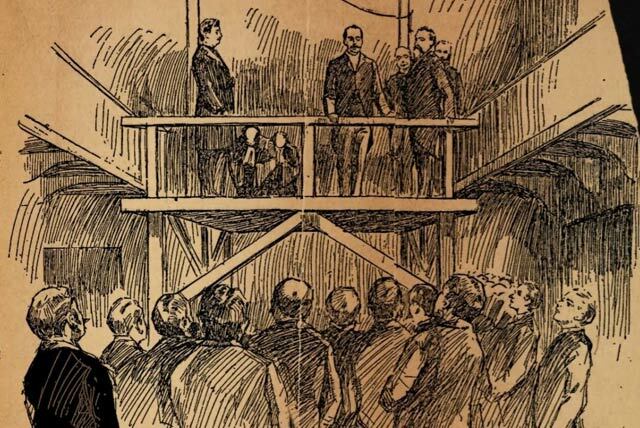 Soon after, Holmes was sentenced to death by hanging for the murder of Benjamin Pitezel. It’s obvious that Holmes was a master manipulator and conman during his life, so is it possible that he managed to manipulate the very police putting him to death? Could he have pulled one last con on the courts and made his escape to the warm beaches of South America, as one former employee of Holmes’ hotel suggested? According to some, it’s plausible. Shortly following his death, many suspected that the hanging had all been a sham. Reports swirled about with rumors, one from Robert Lattimer, a former hotel employee who insisted he had seen letters between Holmes and his lawyer confirming his prison escape plan. Although these letters were never presented as evidence, it still garnered enough attention to merit questions. With his wealth had Holmes managed to pay off the guards assigned to his hanging? Did he talk them into switching out his body for another inmate that was due to be executed? Could it be that this is the real reason behind Holmes bizarre burial request, in which he asked that his coffin be covered in thousands of pounds of concrete? While this all may sound ludicrous, it’s actually gaining more media attention today than one would think. In fact, as of May 3rd, 2017 Holmes’s living relatives are currently in the process of exhuming his body just to verify that it was indeed Holmes who was put to death. DNA from his relatives have already been submitted and the act of excavating his grave has gained approval from city authorities. In fact, if the conspiracy turns out to be true, Scorsese may have to make a new ending for The Devil in the White City.